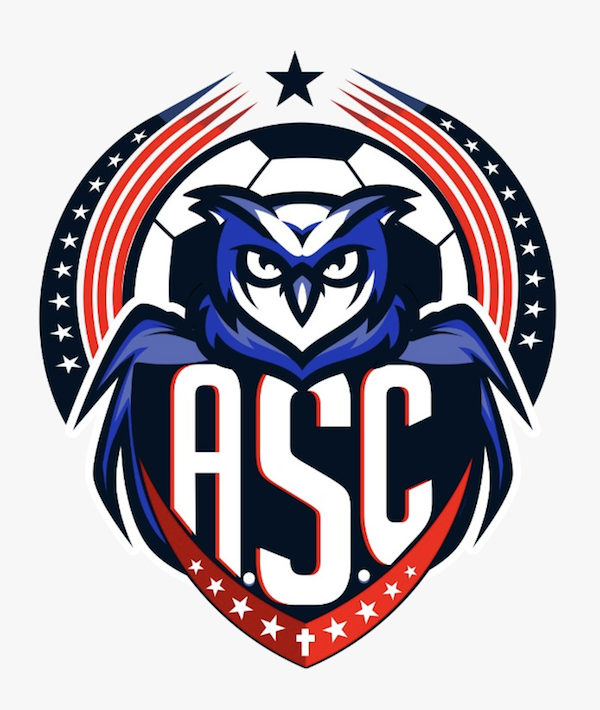 Paul Azor (pronounced like the Azores) took some time out of his schedule as club President of America Soccer Club to sit down and answer some questions about the high-flying new club based out of Winter Garden, Florida. Can you give us a little bit about your soccer background? I played in Manchester United (laughing and poking fun at this writer’s love of Liverpool FC). No, I played in many, many countries for over thirty years, but never professionally. I had the typical Brazilian background, I played it and watched it, so basically it was in the blood. So, you have that Samba style of play? I’m half Brazilian, so a quarter of that half is good enough to start something (more laughter). You answered this prior to the interview, but America Soccer Club started as an adult side first, correct? And you recently started building a youth academy out from that? When the adult side was first established, did you look at any other leagues besides UPSL? Yes. We were going to go with PDL or D3, but UPSL at the moment when coach Marcos came and gave me the idea, it was much more affordable for what we needed to start with. Once we got in UPSL and got started, we really liked it. Everything’s still new and needs some more organization, but it’s perfect for us right now so we’re going to stay. You said the affordability of UPSL was what really brought you to the league. It makes sense. We wanted a team and wanted a league to participate in something like the US Open and UPSL has provided all these answers for us. So, I would pay much, much more for a league we aren’t going to leave. Later on, we may move to another league, but we aren’t going to leave UPSL. We are going to stay with UPSL. Were/Are there plans to expand to PDL, NPSL, even the new D3, NISA, and maintaining a reserve side in UPSL? All options are on the table right now. We are going to start studying all of these options next year. Once we get established after this first year or even the first half of 2019, it will teach us a lot of things to gain experience and we will know a little bit more of the know-how. As the President of an amateur Non-League club here in the US, what do you feel are some of the biggest challenges that the team faces? The uncertainty or what’s going to happen. I’m sure every team owner in this country is focused on this. Tell us what needs to be done, tell us what is going to be done. We hear stuff that they are going to regulate it. Is UPSL going to be third league or fourth league? We need to know if there’s a serious chance (of moving up with UPSL) or not. It’s okay both ways. We just need to plan. We need to plan where we’re going with our club. Maybe I don’t want to stay amateur and want to go professional. But if UPSL has a chance of moving us to a pro level, I’m sure with the cost, I’m not denying that. At least we can stay with UPSL, but we don’t know what’s going on. Nobody knows. It’s all guesswork and talk, but you cannot take them seriously. That’s my first problem, where are we going to head next? We are in UPSL and going to stay UPSL, whether it stays semi-pro or goes full professional. We are staying with them, but again, what do we need to be pro? We need that pro team. Where do we go? D3? Then I don’t know what. We may as well stay with UPSL. No one communicates with us because we are semi-pro or amateurs. We don’t know the answers. So, again, the biggest issue is lack of communication over the structure and whether UPSL will be third division or fourth division. Okay, when? Three years? Fine, we’ll go build our own field with ten thousand seats and we wait. If no, we can make other plans. That’s what we need to know. So, the uncertainty of the future is another issue in your eyes? What can US Soccer and USASA do to help the amateur side of the game here in the US? More budget. It all comes down to more budget. We’re doing this alone with one owner. And the owner has to hold on to everything, including expenses. They talk about sponsors, but I haven’t tried yet. But, for sponsors at this level, what are we talking about? 500? A thousand, five thousand? That wouldn’t pay the salaries of the team for a week. So, there’s nothing to look toward for clubs that are getting serious about this. If you look at our staff, they are at the higher end at this level. We are ready to produce players and teach the young ones how to play correctly. We are doing everything the US needs today the right way, but we’re only one, so they can come and interfere. They need to come and see what we are doing right and assist clubs that are serious about producing players, like sponsorships or incentives. Even advice, forget the money, we’ll take care of that. We are on our own. There’s no book we can open and learn from. The system and budget are left in the air. To tell you the truth, we are a club that will produce players. Players that started with us less than a year ago will be in the US Open next year. We just need a point of contact if questions come up. We can’t just be left alone and ignored. This should have been asked at the beginning, but I’ll ask it now: what are the club’s core principles? I used to go to a lot of academies around Jacksonville and found out that most of them were a joke. I don’t know what people are paying for. It’s going nowhere, the kids go for fun and just kick the ball and go home. It got me a little bit upset. So, we decided to start a soccer school to teach kids correctly. All of our coaches are very good from the technical side of the game. We want to produce players and teach them to become something, whether it’s a college player or professional player. But it depends on them. We can open all the doors for them, but they have to take that step forward. We’ve got connections in almost every club. But to open doors, you have to produce players and the US isn’t doing that. (Writer’s Note: there have been more young players going overseas in recent months). Why? Because clubs just want to make money. They don’t want to teach and produce players. Our number one goal is to produce pro players in the states. We already know the guys from Brazil have it in their blood. We want the American guy who decides he wants his son to have a shot at soccer (e.g. Pulisic or McKennie). We have three Americans in our team. Is that normal? I don’t find it normal. We have to have Americans in the team that came up from our academy. We have two places in Jacksonville and Orlando that we are planning on building training centers. We have the land and the permits but I’m holding off for now due to the issues we talked about. I’m willing to build these centers with 6,000-10,000 seat stadiums, but I don’t know what’s going to happen. If I get an answer today, I’ll start building tomorrow. With the interview done, Mr. Azor invited me to attend the club’s next training session and speak with one of the coaches and possibly some of the players. I showed up the following week to the field they were training at and stood to the side until they were done with practice. I got the opportunity to speak with both the coach, Marco Borges, and former Orlando City and soon to be Orlando Seawolves player Tyler Turner. I didn’t waste much of their time due to it being late, but I was able to ask a few questions. What are some of the biggest issues with US Soccer? (Marcos): The kids aren’t allowed to express themselves and the coaches want specific things. Our club is looking to change that with the introduction of our youth program. What would you describe the team playing style as? (Marcos): The team is a mesh of different nationalities, so the playing style is a mix of samba, tiki taka and direct play. I mean, we have guys with the team who are as young as seventeen trying to make a name for themselves and the mix of styles is beneficial for them. I only got to ask Tyler one question before he had to leave, but I feel it was a solid question to ask. As a player who’s played both professionally and at the semi-pro level, what is the biggest difference between the two? (Tyler): When I was with Orlando, I played under an English coach who was more direct in the team approach, whereas playing for Marcos at America has given me more of a tiki-taka style of play.